My second pair of Pocket Capris is done! This time, I decided to shorten them and use a t-shirt for the material. I wasn't sure how I'd like it in a knit fabric, but I'm very pleased with how they turned out...sooooo comfortable and soft. 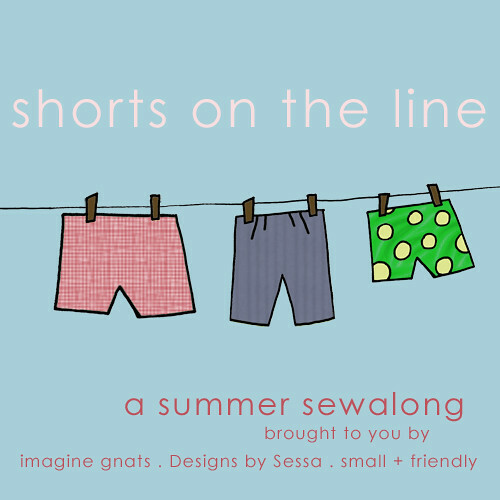 This is a perfect addition to Anja's wardrobe, since she has very few pairs shorts (as you may have noticed, there's been a bit of a capri theme going on around here). Instead of doing an inverted pleat for the inside leg, I gathered. Other than that, I followed the original tutorial. 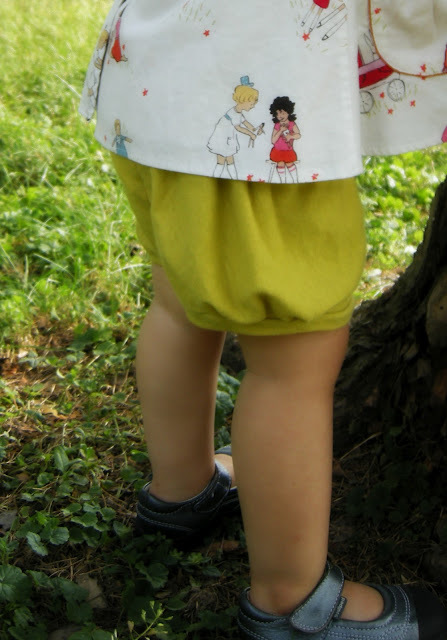 The tunic is part of this look that I made for Project Run & Play. Cutting up the original t shirt that I got it for $4.94. A lot of the knit fabric I buy is from sale racks at Walmart or Joe. There isn't a very great selection of knits around here at fabric stores. 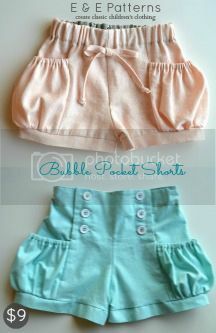 15 comments on "Pocket Capris - Shorts version"
These are adorable, and I bet they are so comfy. Also, I love your clothing labels! love these so very much!!! 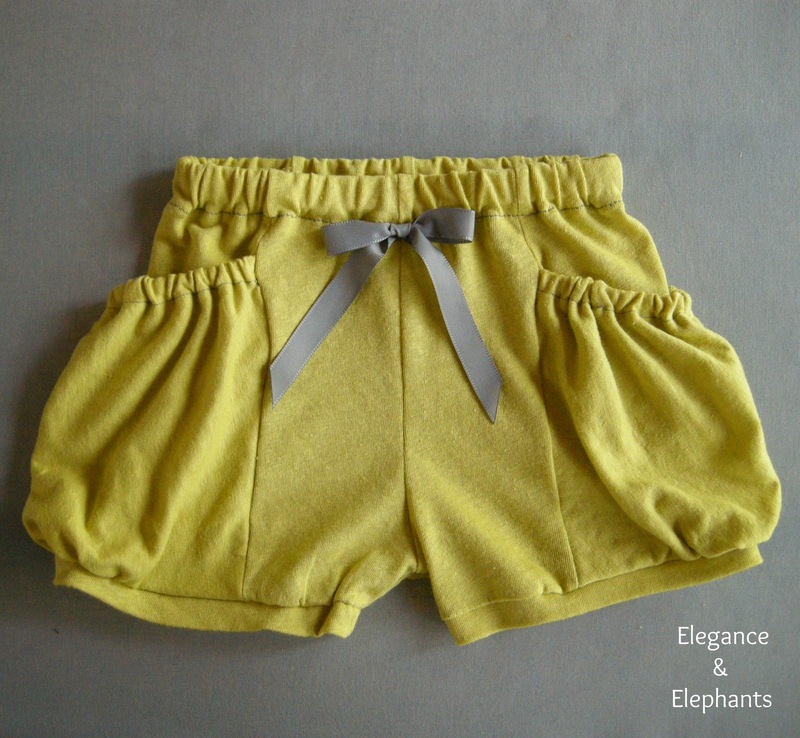 these shorts are so darling I am absolutely in love. Can't wait to peek more around your blog. Those are the cutest! By chance do you have an etsy shop? I would love to maybe make a purchase! Let me know.. picturesofhappy@gmail.com! I am so glad I found you blog.. I am your newest follower! If you have a chance I would love for you to check out mine! These are precious! I would love it if you stopped by my new link party http://thelifeofjenniferdawn.blogspot.com/2012/07/a-little-bird-told-me-link-party-3.html and linked this up. Hope you to see you there! 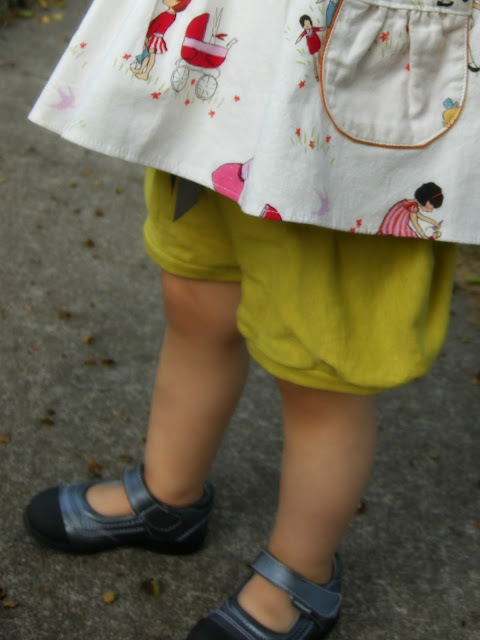 Those pockets are just precious!! LOVE! Hi! These shorts are super cute. Love the colors! I featured them on my blog today! http://missloviecreations.blogspot.com/2012/08/my-favorite-things-thursday-on-friday.html Come check it out and grab a featured button if you like! Oh, these are too adorable, I instantly fell in love with them. Wonderful work!